corset piece for the Couture Label. It will be in deep red faux fur! We were extremely flattered to see our green & pink Corset Chair featured in 'Most Wanted' of theObserver Magazine recently. We had a great response and are working on several commissions. 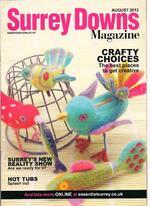 *An indepth interview with the leading UK handcrafted art website UK Handmade. *The definitive lifestyle website from Poland currently features all our Couture Collection pieces. Thanks! *4Maticfinal Mercedes Brochure Poland kindly showed the pink and chocolate Corset Chair in their current issue. *UK Handmade. 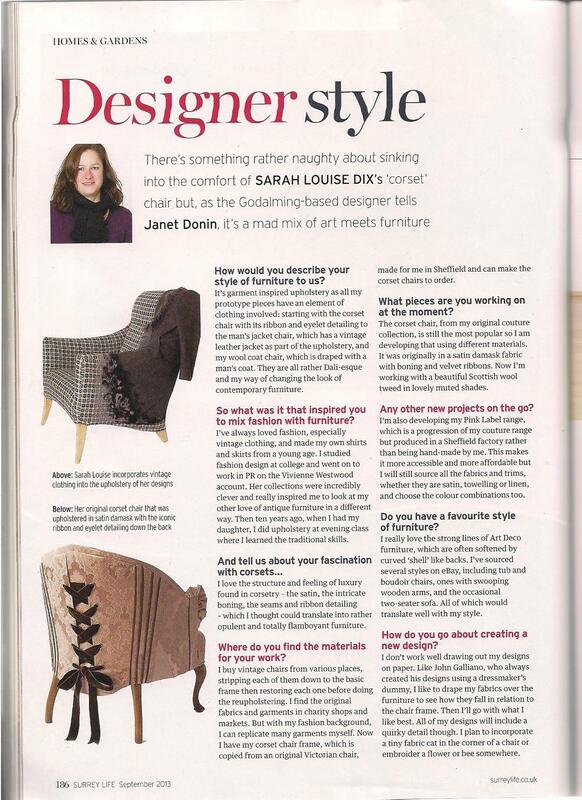 The leading website and bible for all things handmade feature the pink and chocolate Corset Chair in the current Spring issue. *Our gorgeous Mini Cape Footstool is on Skin2 Magazine Website. The footstool was included in a great feature about fetish furniture.